When you come to play you’ll need a place to stay and Oscoda has the finest. 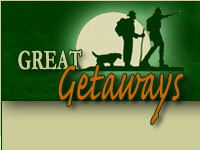 Most lodging facilities are either nestled along beautiful Lake Huron or have exceptional private beach access. From spacious motel rooms and suites to the conveniences of kitchenettes in one, two or three bedroom cottages. And, for a couple’s retreat, you’ll find some of Michigan’s best Bed and Breakfast Resorts offering private beaches, in-room whirlpools and fireplaces and the most romantic and breathtaking sunrises.